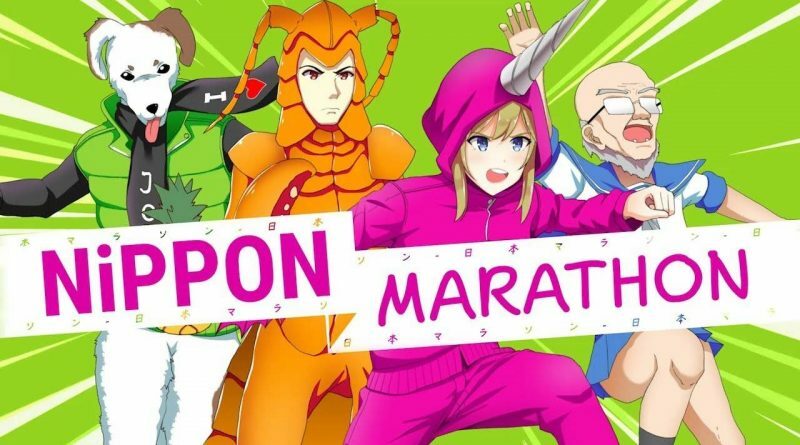 PQube and Onion Soup Interactive today announced that the multiplayer Japanese sports game Nippon Marathon is coming to Nintendo Switch on December 17, 2018. Additionally, the developers have released new details that offer a sneak peek of the game’s seventh level “JINKO EKI STATION”, where runners have to jump from bullet train to bull train, as well as Snuguru Maestro’s story mode: the half-human, half-dog with the voice of an angel. Currently in Steam Early Access, Nippon Marathon is billed as Micro Machines meets Takeshi’s Castle – a hell for leather physics-heavy race across Japan. Slip into your Narwhal Onesie, Lobster Suit, School Uniform or… er… Dog Head and charge through locations across Japan!